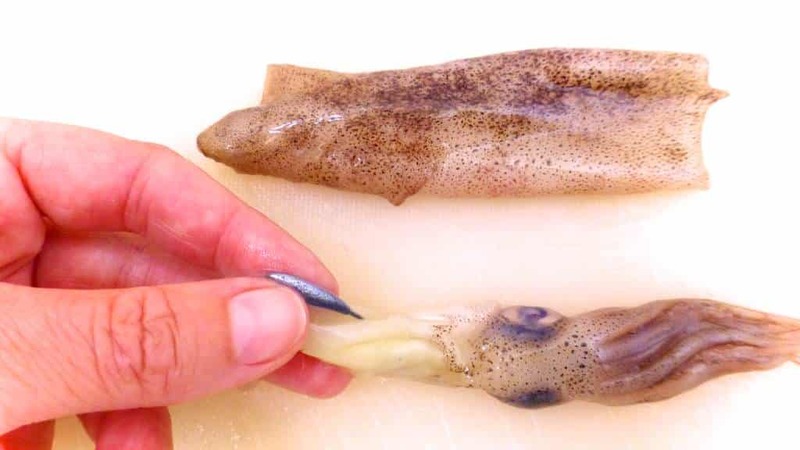 How To Clean Squid - Step By Step Pictures! | Simple. Tasty. Good. 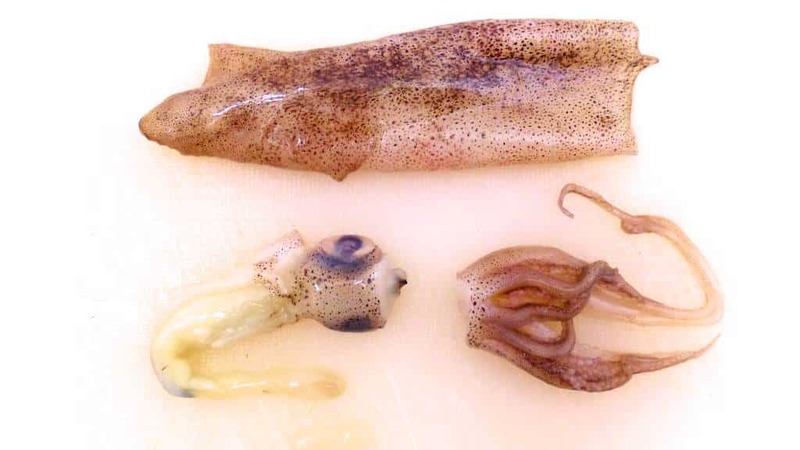 How To Clean Squid – Step By Step Pictures! 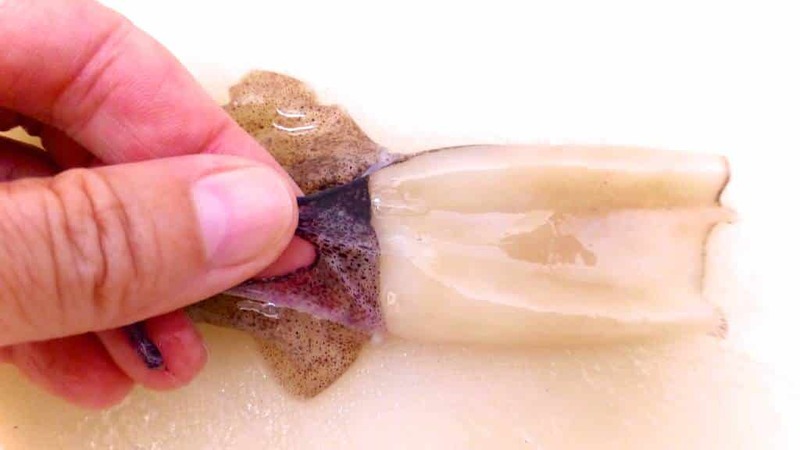 Do you know how to clean squid? Ever done that before? It’s really not that difficult. Once you know how it works, you’ll never forget it anymore. Here we go! 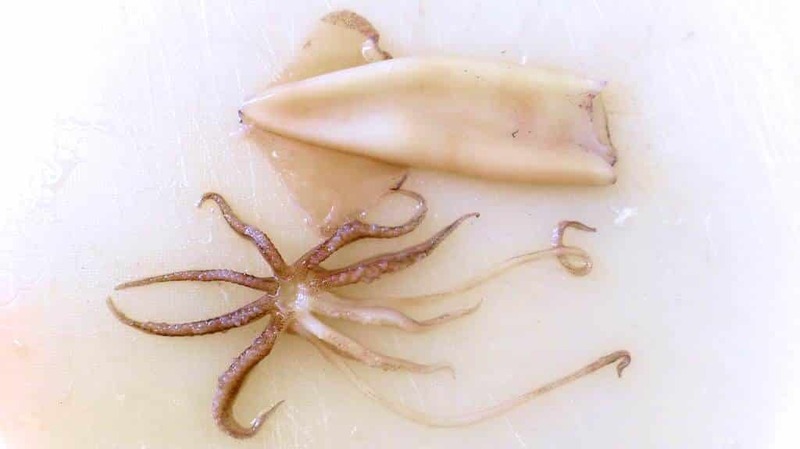 Looking for squid recipes? Then also check out my squid ink spaghetti with squid! Or how about my flat beans with squid! 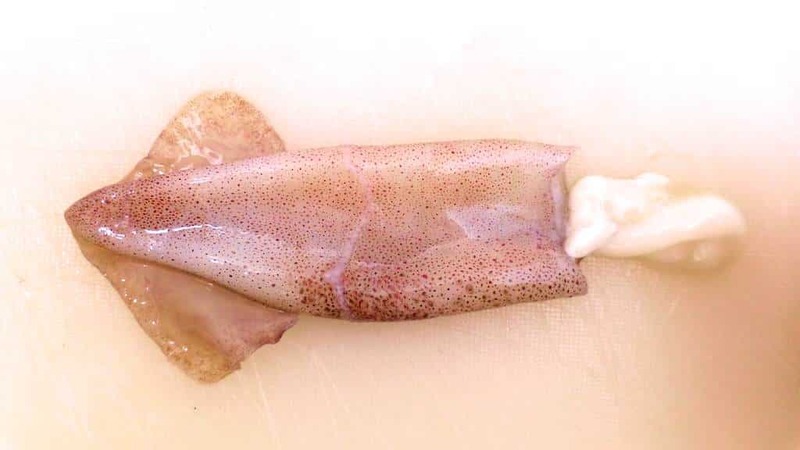 Place the squid on a clean chopping board. 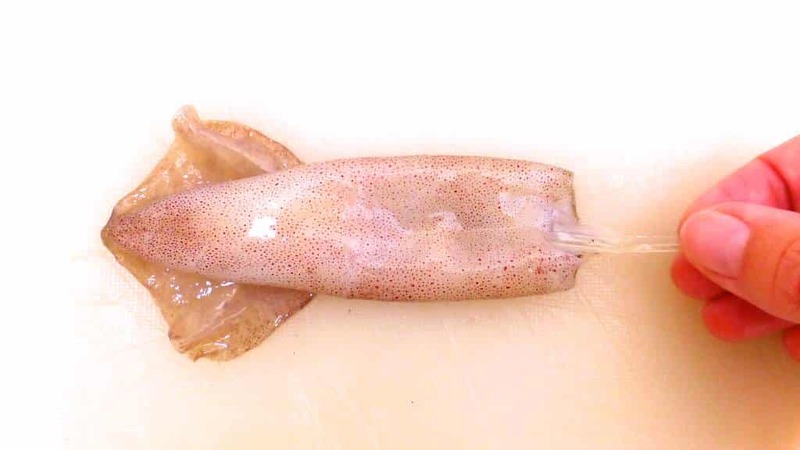 Hold the body in the palm of one hand and grab the squid head with the fingers of your other hand right above the eyes. Now pull gently until both parts detach from each other. With the head will come some slimy looking white gunk. Somewhere attached to that is the ink sack. 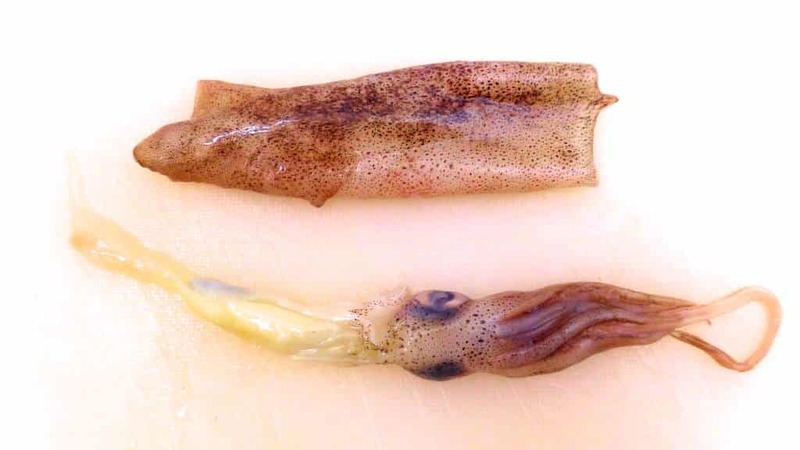 The ink in baby squid is not enough for other dishes, so throw it out. 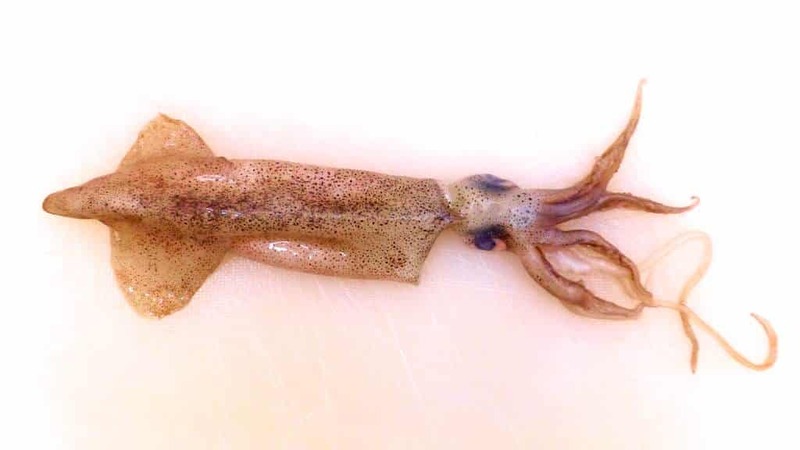 Large squid contain much more ink. Then sever the tentacles from the head. Therefore slice right underneath the eyes of the squid. Try the keep the tentacles in one piece. You will probably feel or hear something crunch a little. See that little black thing protruding from the in between the eyes? That’s the beak, the squid’s mouth. Make sure there’s none of that left on the tentacle side. Then throw away the part with the eyes and white gunk (or keep it as bait if you like fishing). Place your thumb gently on one end of the body between the 2 little fins. Then with your other hand search for the quill, the little plastic thing inside of the squid. Then pull it out gently. It can be quite large and is transparent. Discard it. Remove any whitish slime that is still inside. Pull or gently squeeze if out. Discard it. Now peel the skin off. This is quite easy. With your finger nails pinch the skin and see if it tears loose. Then pull the skin towards the back of the body. Also remove the skin on the fins. 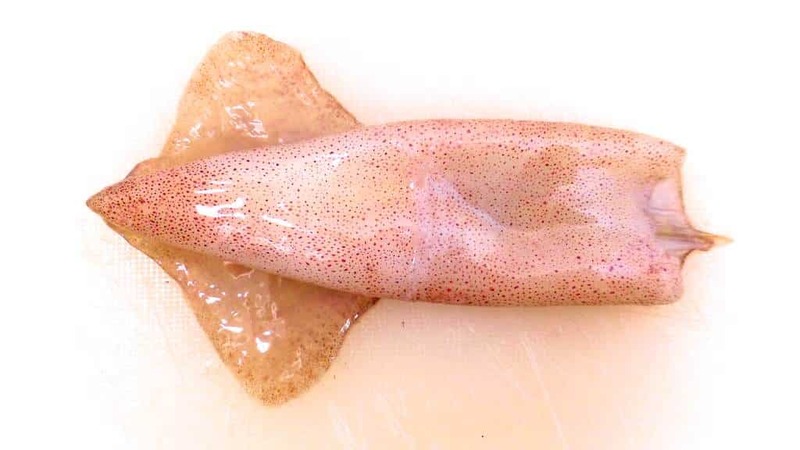 The squid meat underneath should be whitish to lightly yellow. Discard the skin. Rinse the cleaned squid inside and outside. Done!